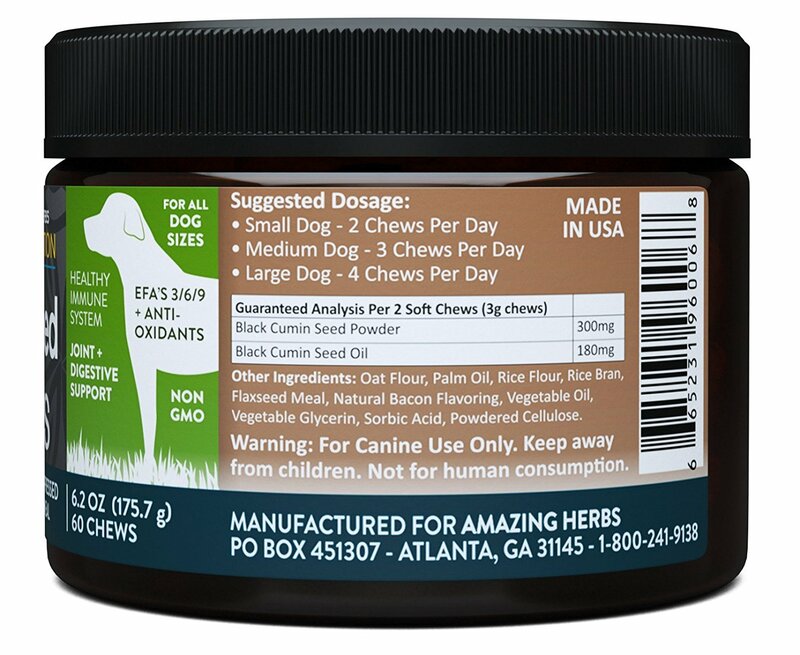 Amazing Herbs Black Seed Soft-Chews for Dogs is the first nutritional supplement for canines that offers the remarkable health and curative properties of Black Cumin seed oil in a great tasting and convenient treat for dogs. 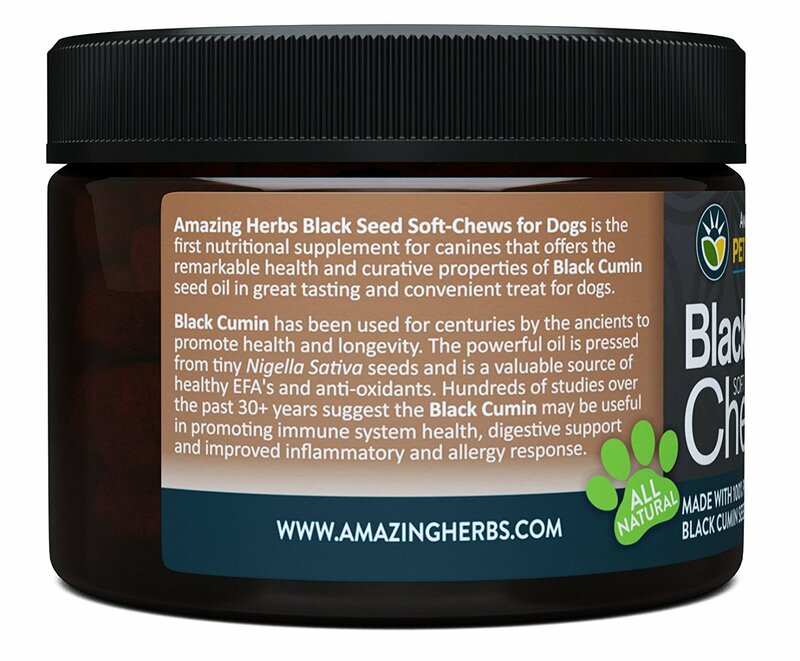 Black Cumin has been used for centuries by the ancients to promote health and longevity. 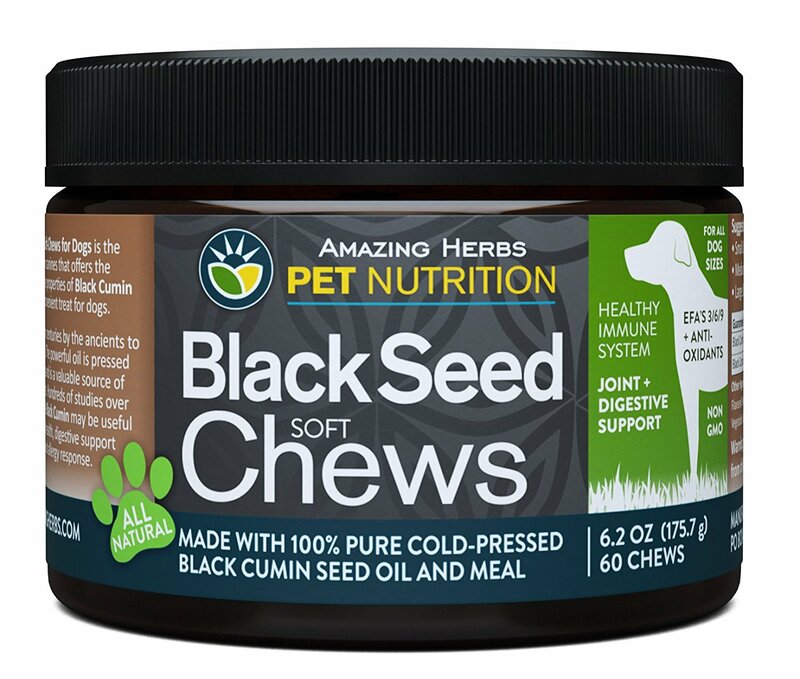 The powerful is pressed from the tiny Nigella Sativa seeds and is a value source of healthy EFA's and anti-oxidants. Hundreds of studies of the past 30+ years suggest the Black Cumin may be useful in promoting immune system health, digestive support and improved inflammatory and allergy response.